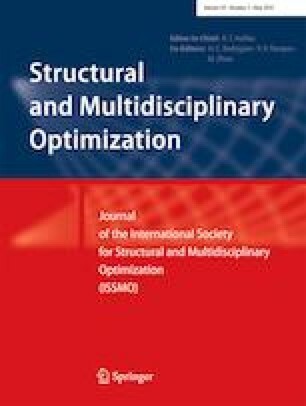 In this paper, we propose a method for stress-constrained topology optimization of continuum structure sustaining harmonic load excitation using the reciprocal variables. In the optimization formulation, the total volume is minimized with a given stress amplitude constraint. The p-norm aggregation function is adopted to treat the vast number of local constraints imposed on all elements. In contrast to previous studies, the optimization problem is well posed as a quadratic program with second-order sensitivities, which can be solved efficiently by sequential quadratic programming. Several numerical examples demonstrate the validity of the presented method, in which the stress constrained designs are compared with traditional stiffness-based designs to illustrate the merit of considering stress constraints. It is observed that the proposed approach produces solutions that reduce stress concentration at the critical stress areas. The influences of varying excitation frequencies, damping coefficient and force amplitude on the optimized results are investigated, and also demonstrate that the consideration of stress-amplitude constraints in resonant structures is indispensable. This work was financially supported by the National Natural Science Foundation of Beijing (No. 2182067) and the Fundamental Research Funds for the Central Universities (No. 2017MS077, 2018ZD09). We thank Professor Krister Svanberg for providing the source code of MMA. We gratefully acknowledge the valuable remarks of the anonymous reviewers. where the filter matrix H is composed of Hei. where L is the transpose of the array that contains the volume of each element. The first and second-order derivatives of ρe with respect to xe in (37.a) and (37.b) can be calculated from (24.b) and (38), respectively.